Chris Williams, a third generation welder, creates animal art that is nothing less than exceptional. 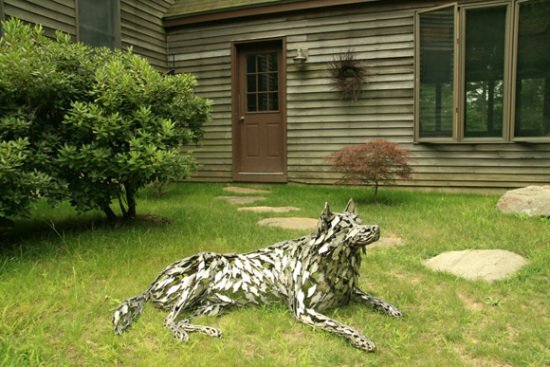 Williams' metal animal sculptures are built from the ground up, and made by had at his shop/studio in the Essex woods of Massachusetts. 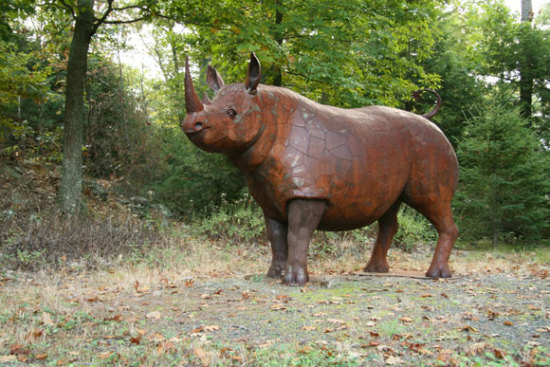 Steel Rhino by Williams: This steel rhino sculpture is 13 feet long and weighs 1500 pounds. Williams has done quite a variety of commissioned art, both commercial businesses and private residential metal animals. 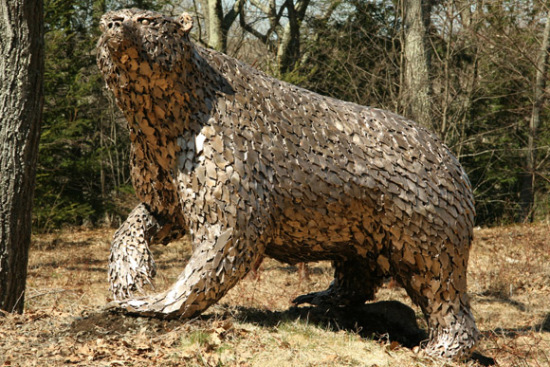 Below is a bear that Williams welded for Bridgewater State College's athletic department. 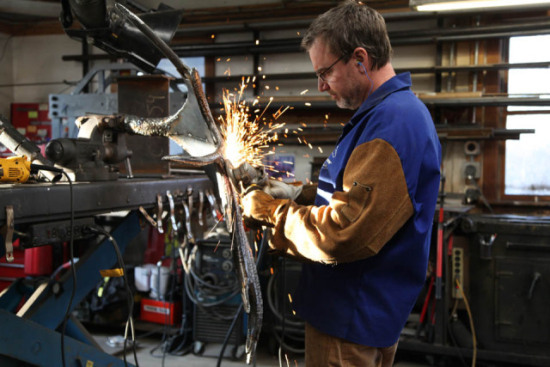 Williams' website states that it took two months for him to make using a plasma torch and TIG welder. Bear Art by Williams: This bear is mounted in front of Bridgewater State College's athletic department. The tree frog sculpture below is for sure one of my favorites. It is displayed at New England Biolabs. 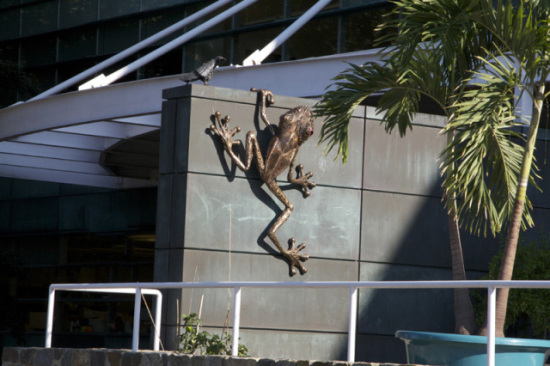 Tree Frog by Williams: This tree frog art hangs out at New England Biolabs. Here is a quick look at the installation of a temporary display at Boston's Logan Airport. 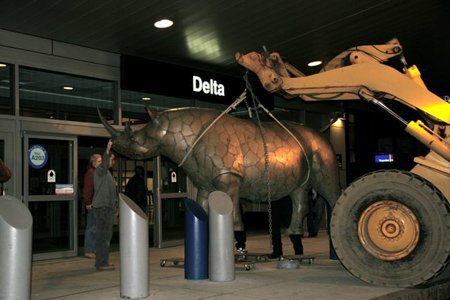 Installing Bronze Rhino by Williams: This bronze rhino sculpture was on display in front of the Delta terminal at Boston's Logan Airport. Williams also does commissions for individuals. Below are images of some dog art sculptures he has done for families who wanted unique memorials for their pets. Husky Memorial by Williams: This dog sculpture is a memorial for a family's husky. 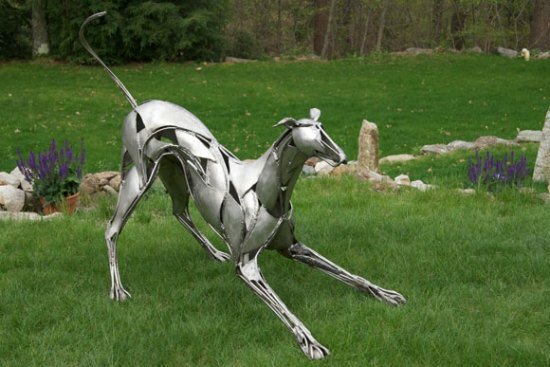 Greyhound Memorial by Williams: This greyhound memorial was intended to capture the playfulness of a family's dog. The personal commissions are not just memorials. Check out this dragon that was done for a person's wine cellar! There is a video interview that introduces Williams and gives a more in depth look at this sculpture in particular. 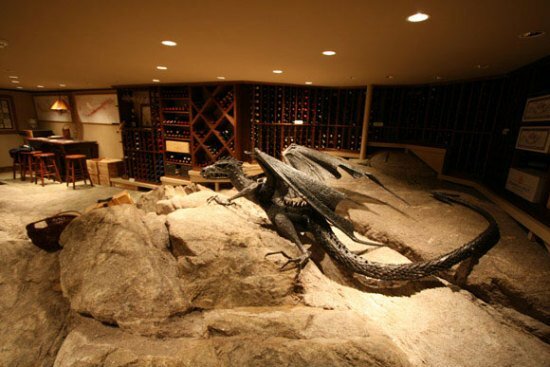 Dragon by Williams: This dragon sculpture guards a wine cellar. No word on whether it knows Beowolf or Bilbo Baggins though. 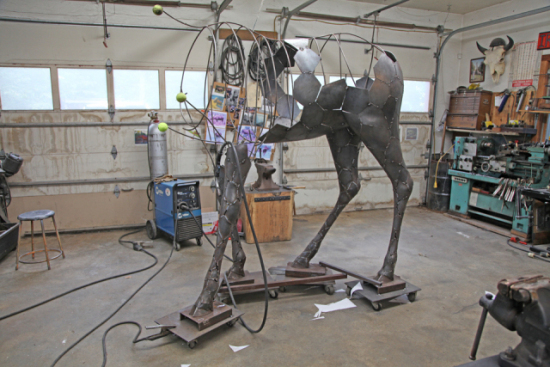 Williams has a unique process, but that can vary depending on what a particular metal animal sculpture requires. Because he starts from the ground up with a frame, instead of creating a mold that is then transformed into a metal sculpture, each metal animal is a unique, original piece of art. Below are pictures of the process in various stages. 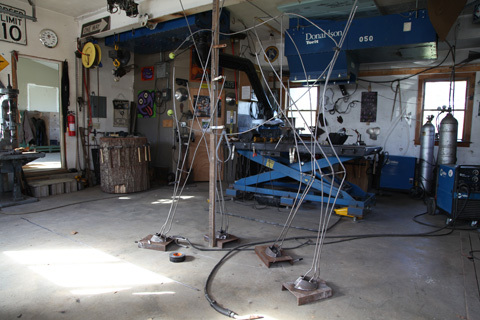 Williams Process Part One: Metal frame of the animal sculpture. Williams Process Part Two: The body of the animal starts to take shape. Williams Process Part Three: Chris Williams shown here, grinding smooth a piece of the sculpture. Williams Process Part Four: The animal art takes shape as Williams welds one of the finishing touches. For more art by Chris Williams, visit his website. He does custom commissions for location and budget. 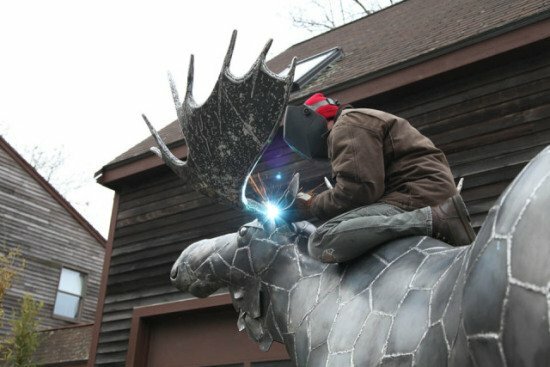 Also, if welding art interests you, check out the article I wrote on animal artist Joe Pogan, or for more sculpture, you can also check out Sean Avery's work. Be sure to leave a comment below, and check back again soon! Images used with Chris Williams' permission.